I was sitting on my back porch last night and heard the familiar “honking” sound I hear every fall—geese flying overhead. I looked up to see an almost perfect V. It instantly filled my mind with several questions. How do they know where they’re going? Why do they fly in a V shape? How far do they fly? Do they stop and rest? I decided to do some research and get some answers and I am sharing them with you. After reading about them, I have a whole new respect for them. They migrate in search of food and warmer temperatures. 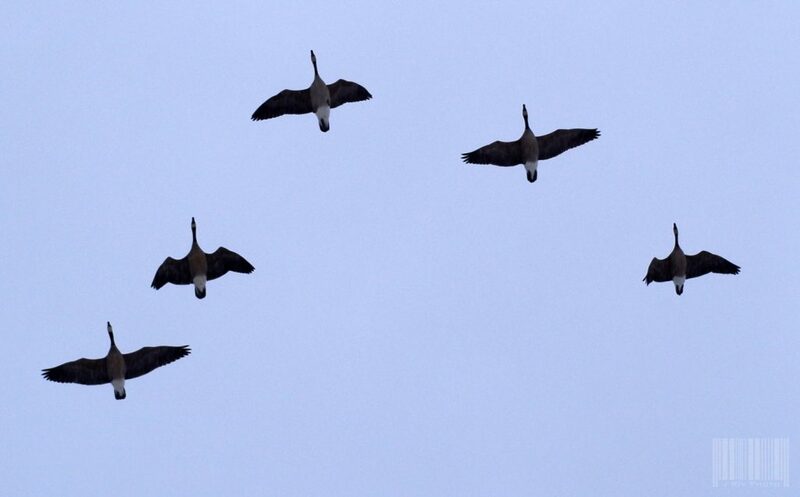 Because of climate change and changes in farm practices that makes waste grain more available, the geese aren’t migrating as far south as they used to. Some Canada geese don’t migrate at all anymore. Lack of natural predators is another reason geese may not migrate. HOW DO GEESE KNOW WHERE THEY’RE GOING? One tool they use is the earth’s magnetic field. There are small pieces of what’s called magnetite found in some birds’ brains. It acts like a compass. They also use the position of the sun and the stars. Birds follow the same migration path every year and use landmarks like rivers, mountains, and valleys as their roadmap. They follow the same path every year. There are four routes which are the Atlantic flyway (along the east coast of North America), the Mississippi flyway (named after the river), the Central flyway (along the Rocky Mountains) and the Pacific flyway (west of the Rockies). Canada geese spend winters in southern Florida and southern North America including the southern United States and part of Mexico. WHY DO GEESE FLY IN A “V”? This formation is sometimes call a skein and helps them conserve energy. Each bird flies a little higher than the bird in front of him/her. This reduces the wind resistance. As an example, in a V formation of 25 geese, each bird experiences a reduction in what’s called induced drag. This results in an increase of their range by 71%. Geese rotate taking the lead position since being in front takes the most energy. HOW FAST CAN GEESE FLY AND HOW LONG DO THEY FLY BEFORE RESTING? Most articles I read put their cruising speed at between 20 and 30 miles per hour. For long distance flying their estimated speed is 40 miles per hour. Birds need to take a “pit stop” occasionally to rest and refuel. They stop where there is ample food and water, shelter and with few competitors. They normally will spend a couple of days on the ground before continuing their journey. The animal kingdom is amazing and the volunteers and staff at TWRC Wildlife Center get to experience the wonders everyday. If you’d like to be a part of this amazing world, volunteer! For more information, visit www.twrcwildlifecenter.org Be sure to follow us on Facebook for amazing stories and photos.